Fort Washington (6) (1775-1776) - A Revolutionary War fortification established in 1775 by the Continental Army under General George Washington in Cambridge, Middlesex County, Massachusetts. Abandoned as a fortification when Washington left for the middle colonies in 1776. 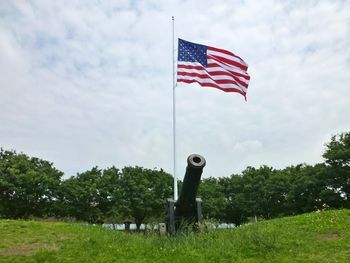 Established as a three gun, half moon shaped battery during the Patriot siege of British held Boston in November 1775 during the Revolutionary War. The fortification consisted of earthworks in a semicircle with three embrasures for cannon. Each section of the earthworks was fronted with a small moat. Part of a 10 mile chain of defenses erected between Charlestown and Cambridge. The City of Cambridge established a park designed by architect John R. Hall and restored the fortification in 1857. 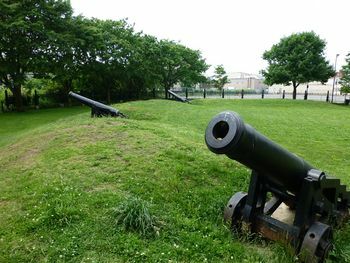 Three 18 pounder cannons from Fort Winthrop (1) on Governor's Island were emplaced and remain there today. 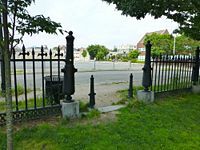 A unique cannon motif fence surrounds the park. Additional restoration work was done in 1900. Part of Fort Washington City Park restored in 1857 and 1900. 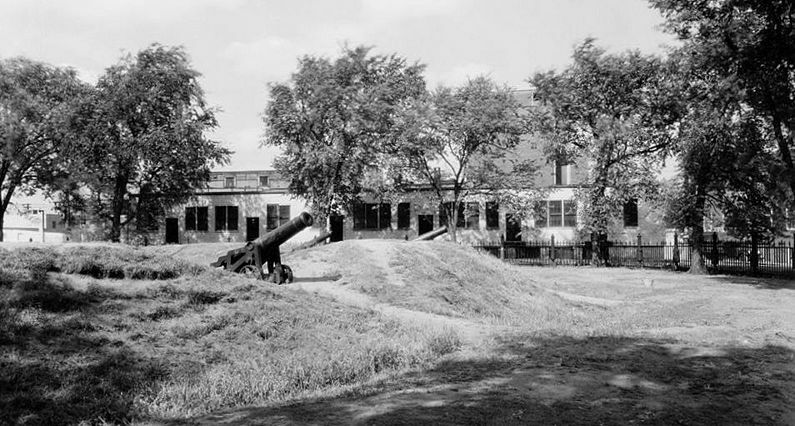 Has three non-period cannon from Fort Winthrop (1). Location: Fort Washington Park, Cambridge, Middlesex County, Massachusetts. This page was last modified 20:50, 7 January 2019 by John Stanton.